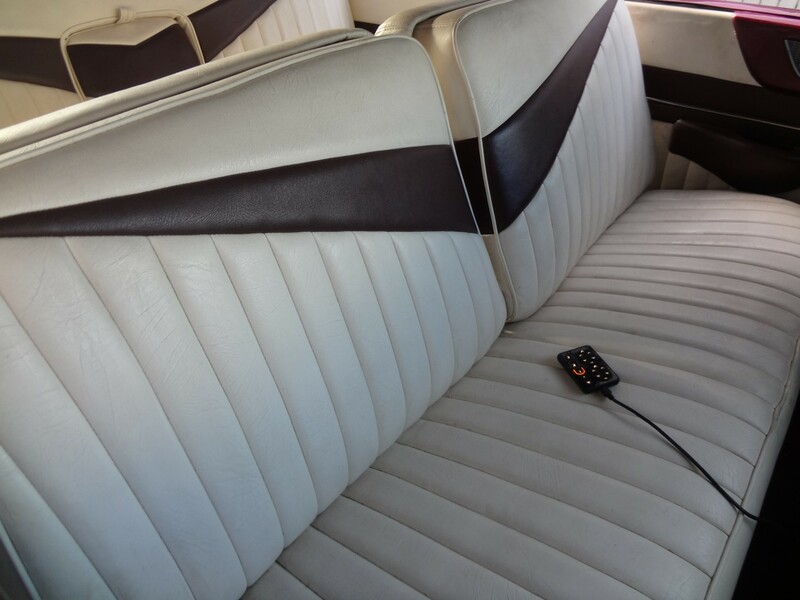 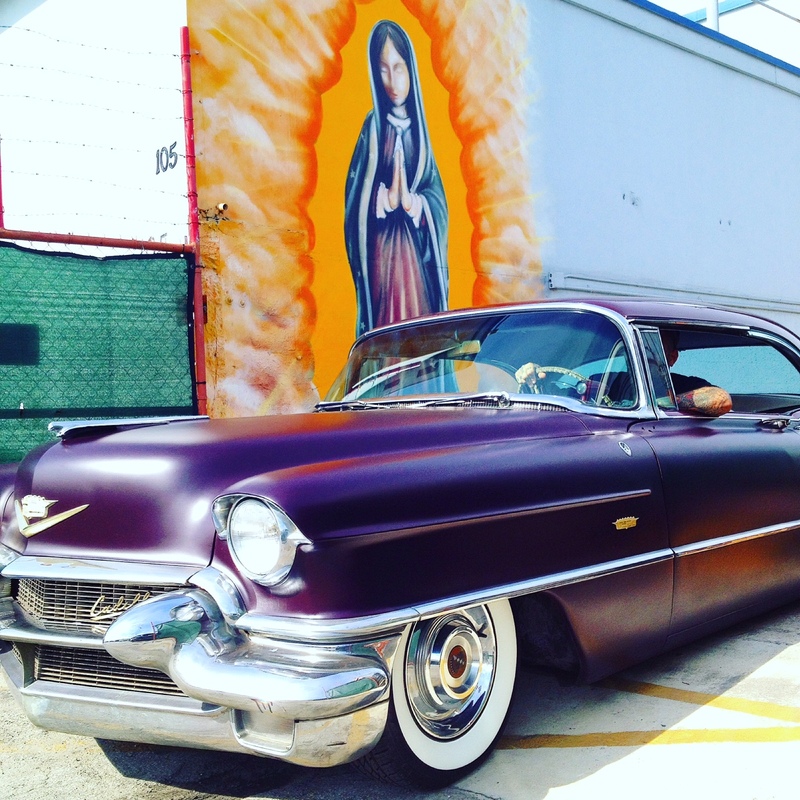 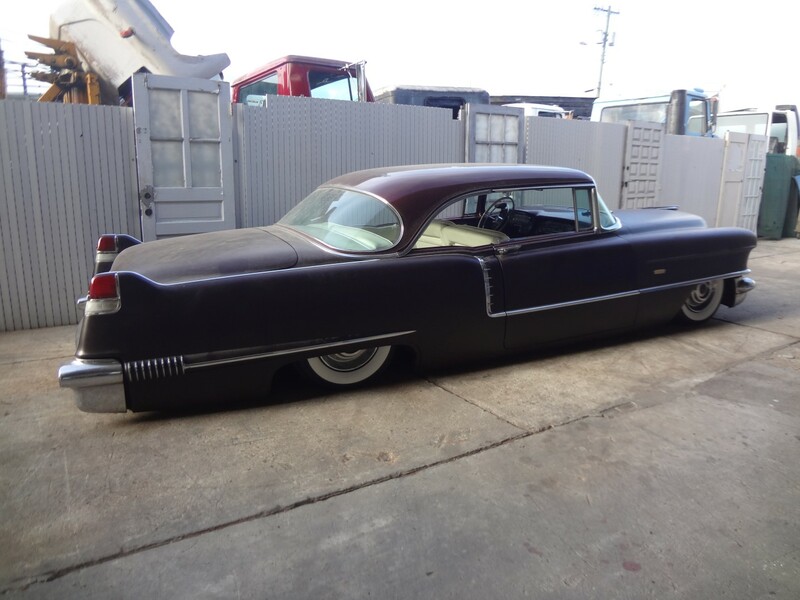 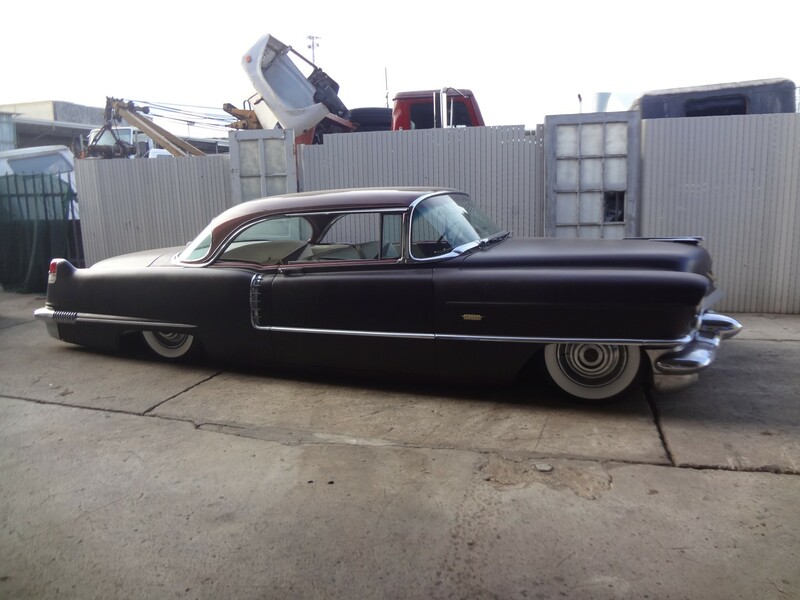 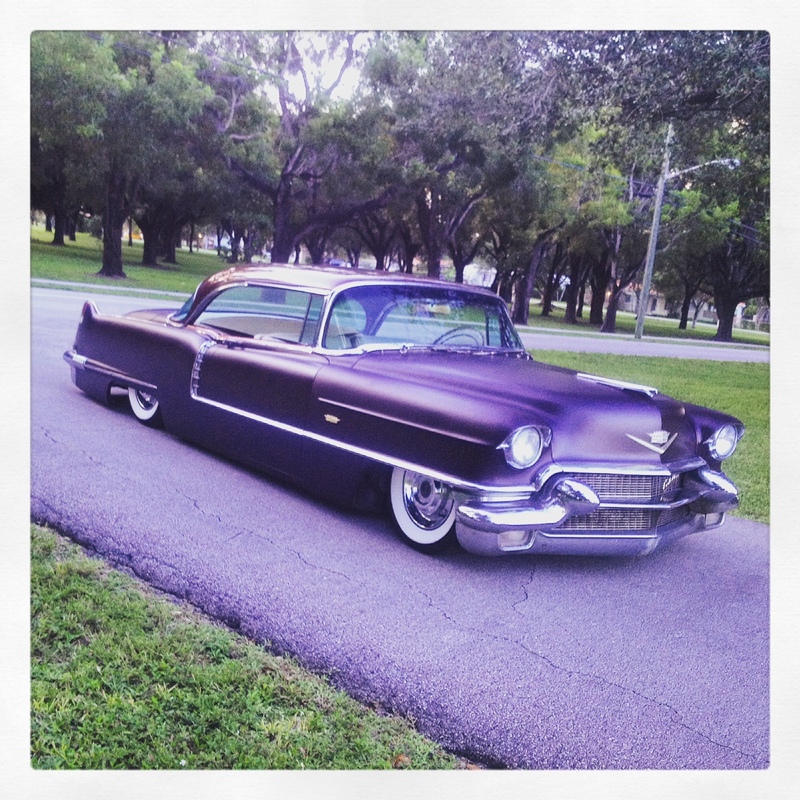 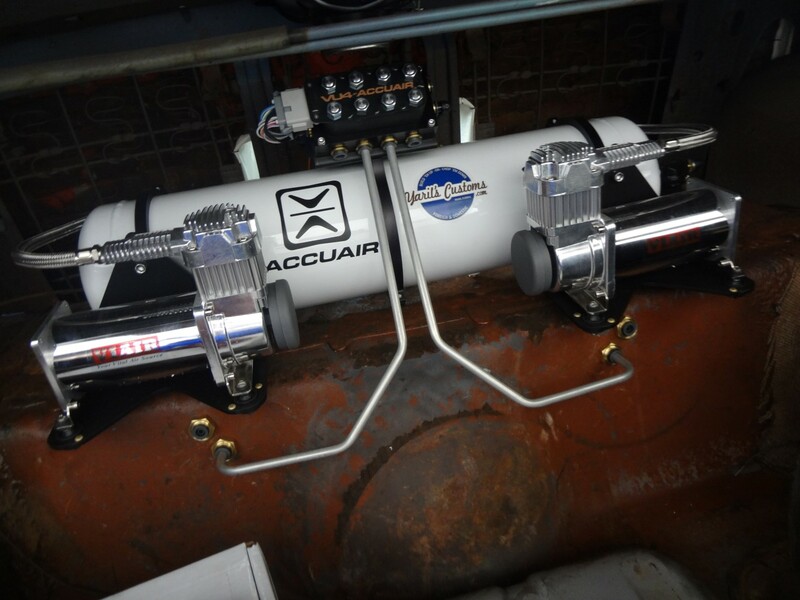 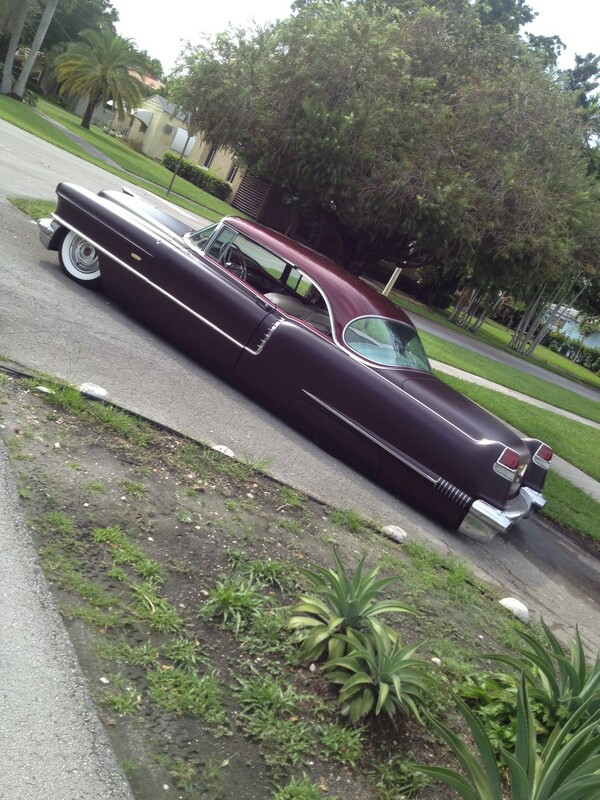 Jackson owner of Kreepy Tiki Tattoo up in Ft Lauderdale loves his Cadillacs so when it came time to upgrade the suspension on his ’56 he contacted us to put the best system available on the market, Accuair. 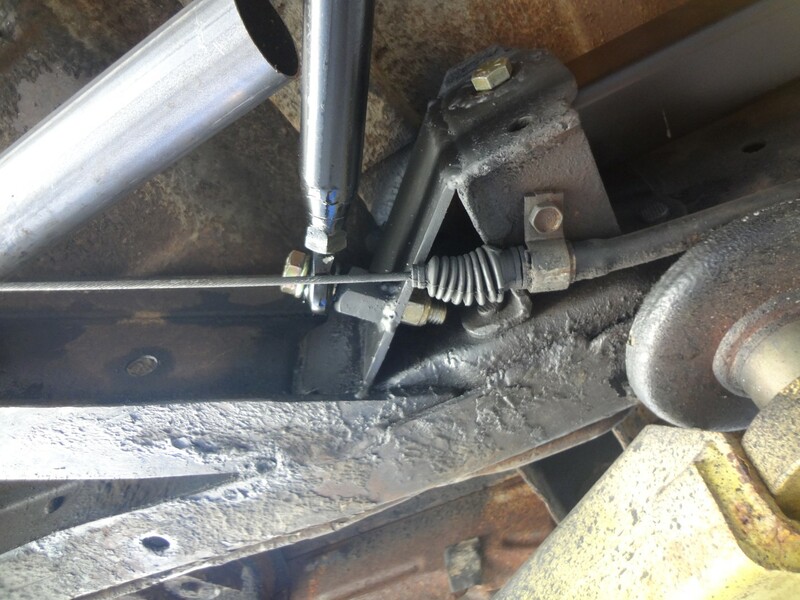 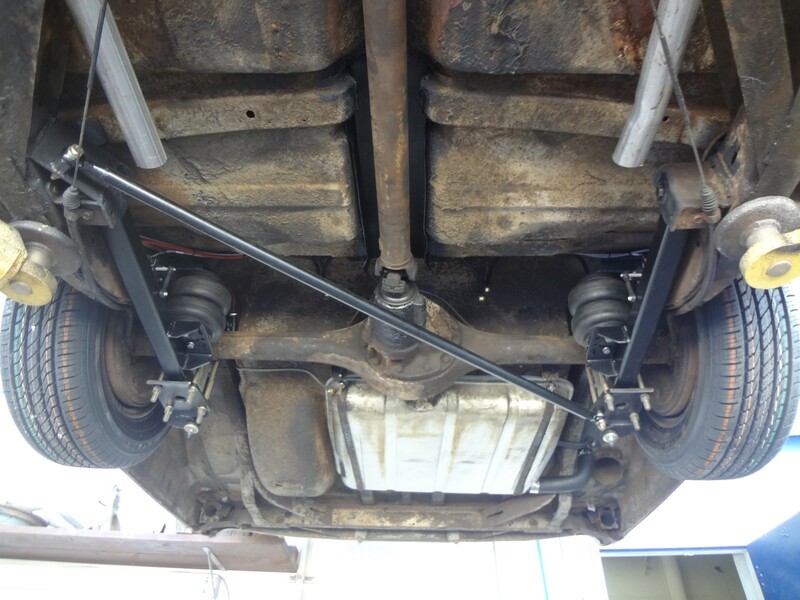 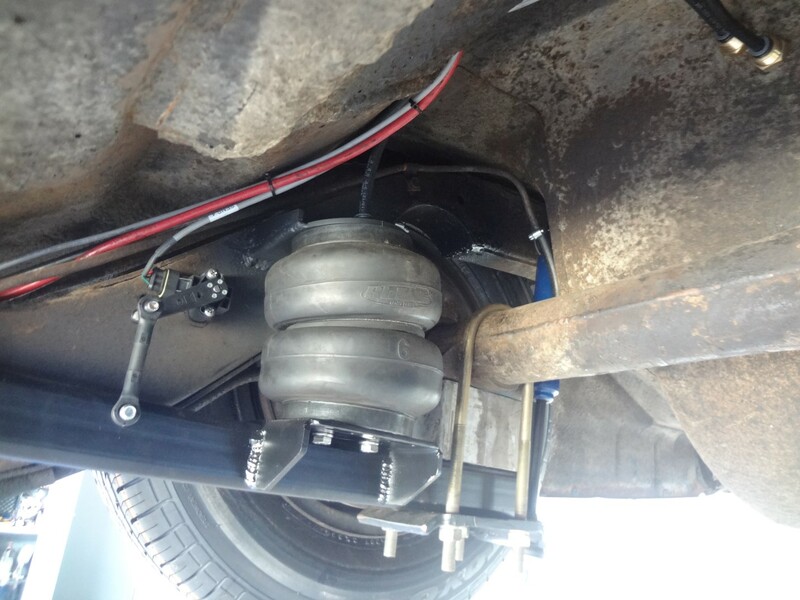 We built the front airbag brackets using Slam Specialty bags and reworked the rear suspension completely. 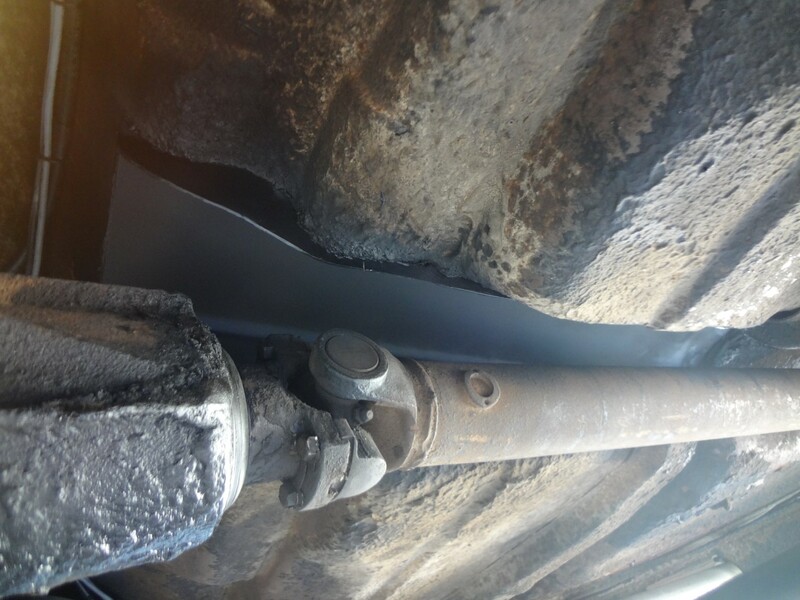 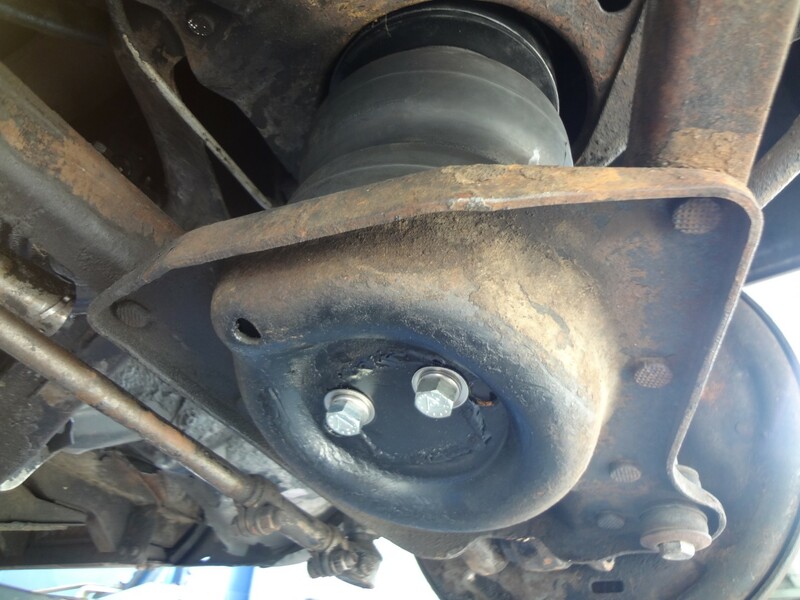 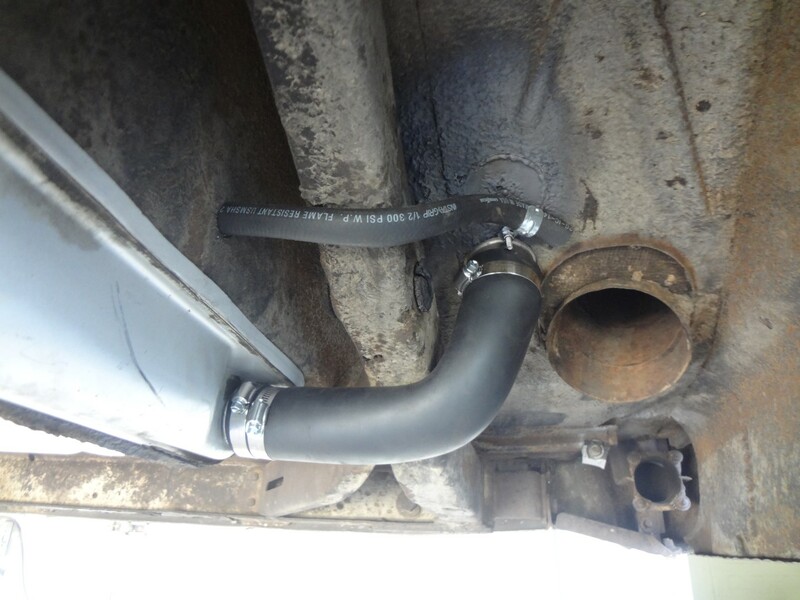 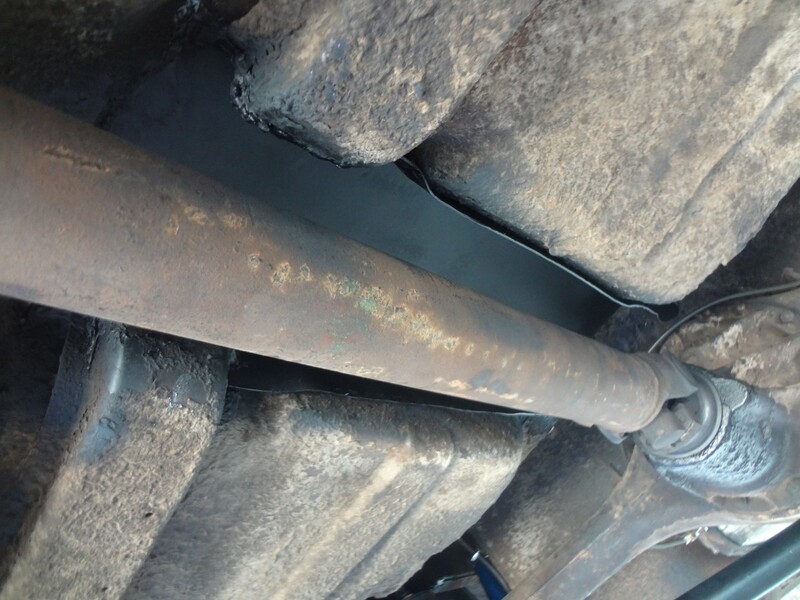 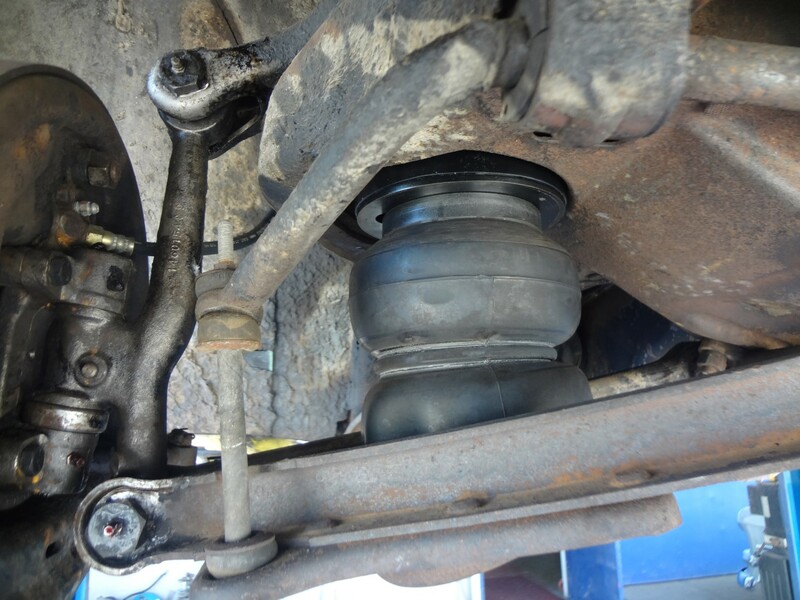 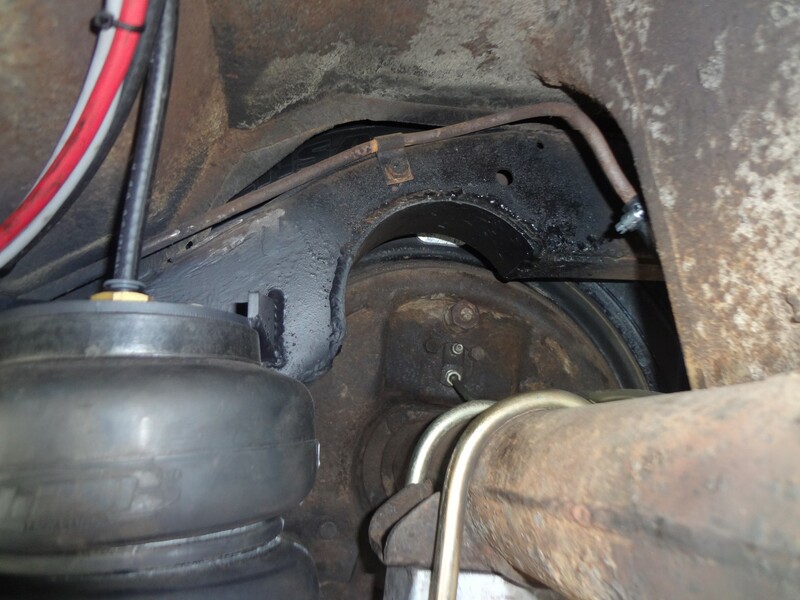 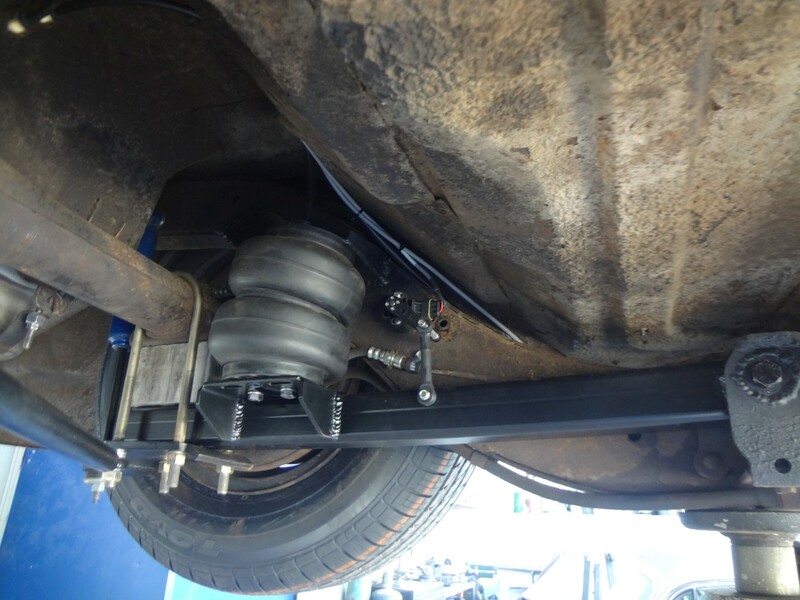 A small 3″ pipe notch for more rear end clearance and new trailing arms with Slam Specialty bags. 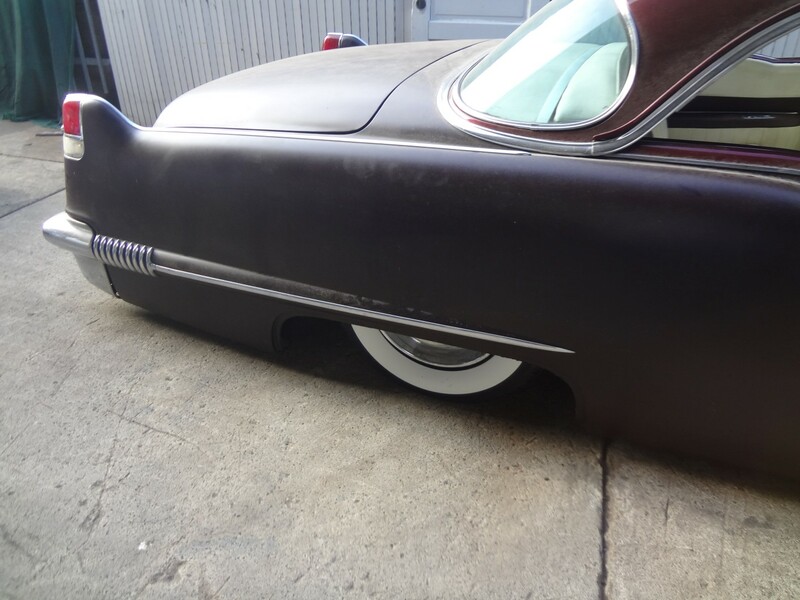 The factory gas tank was raised into the trunk for more ground clearance. 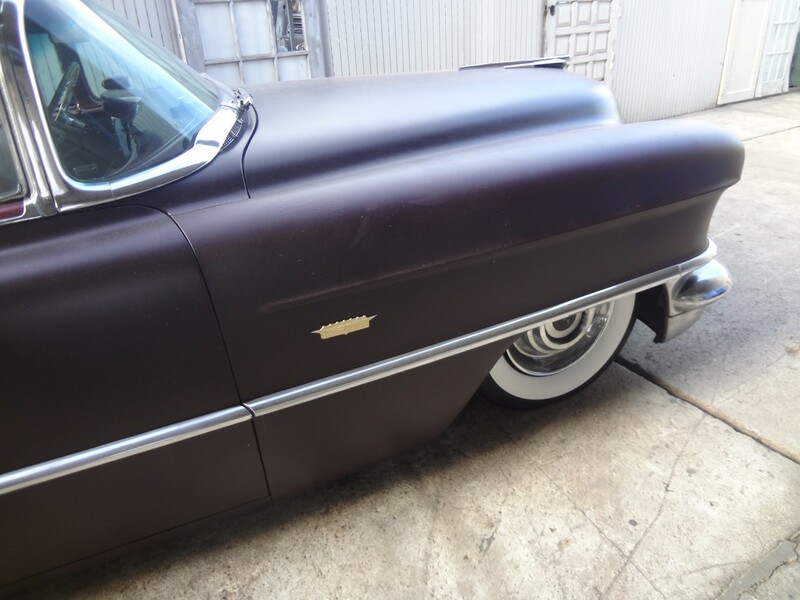 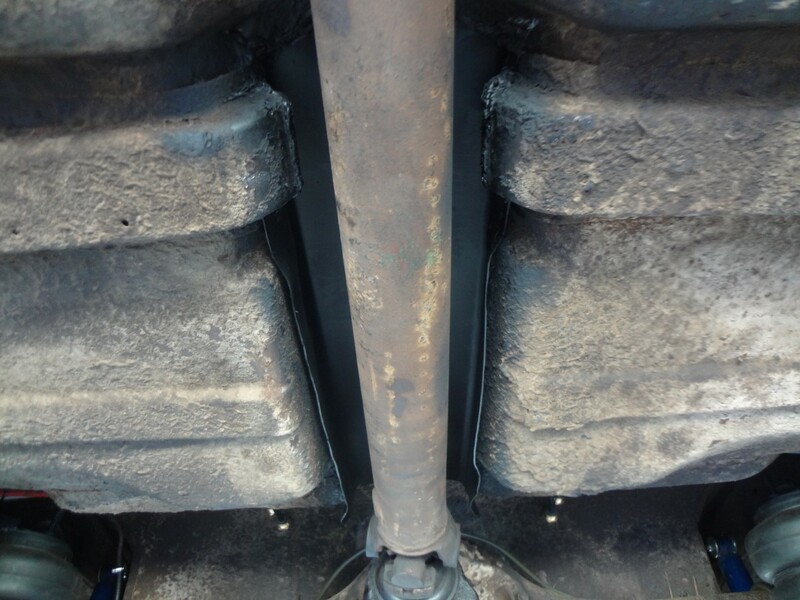 To add to the lowered ground scraping stance, the factory skirts were metal worked so they cover the back tires completely and flow from rocker to rear quarter. 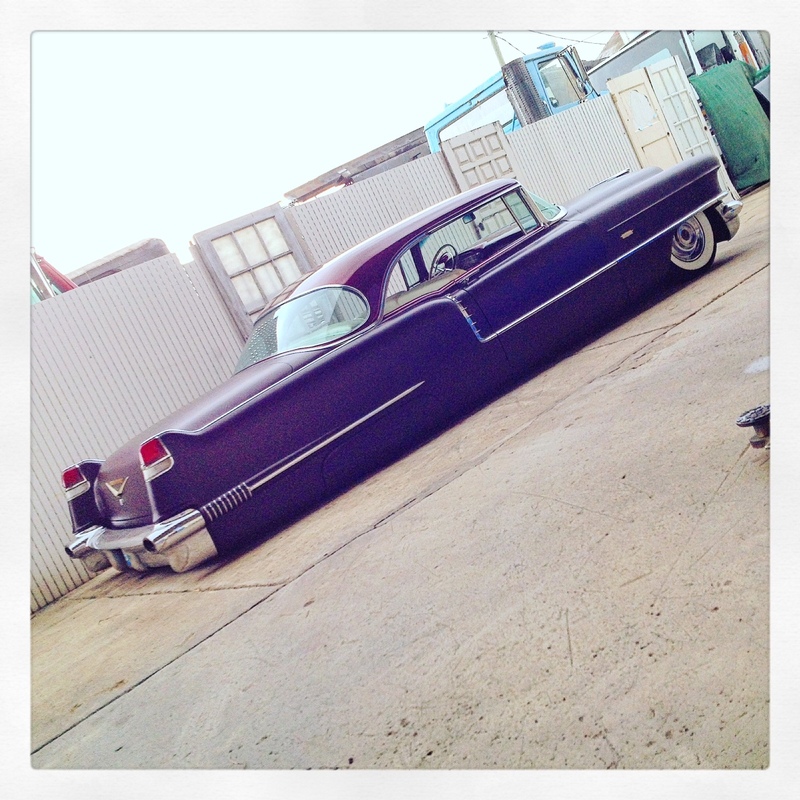 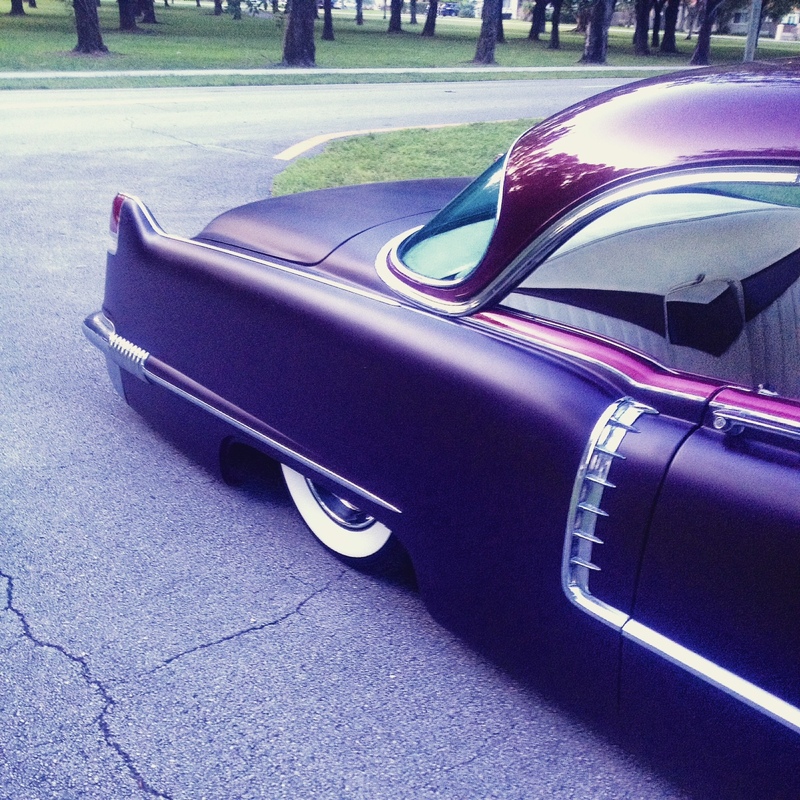 Now these ’56 has a new attitude and ride as smooth as factory.